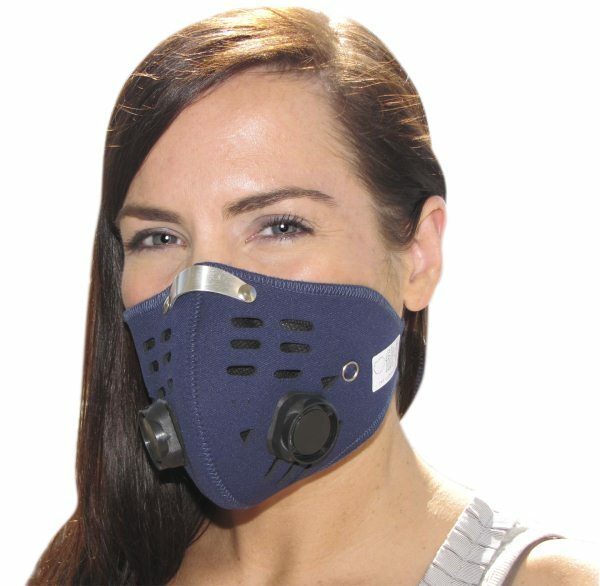 While you can’t control the environment of the entire world, or even the air you breathe in your own city, town or countryside, you can protect yourself against allergens and pollutants that move through the air and can cause allergies, asthma and other reactions to airborne particulates. To some people that haven’t tried using allergy masks, they may seem a bit extreme at first. But when you consider the drawbacks of not protecting your allergy-sensitive sinuses and bronchial passages from allergic reactions, the picture looks a little different. You could rank sensitivity to allergens and pollutants on a simple scale if you wanted. Annoying: These are levels of reaction that could include stuffy nose and sore throat, and even trouble breathing under certain conditions. Mild reactions to allergies or non-threatening forms of asthma fall into this category. Some people might resort to an Air Pollution Mask, for example, if the pollution levels in their part of the country include high ozone levels, thick smoke, ash or chemicals. 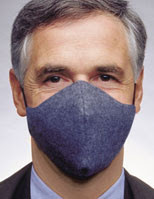 An air pollution mask in hypo-allergenic neoprene fits either men or women and uses a carbon activated filter to protect against sub-micron pollutants. Works for people with or without allergies. 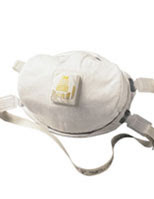 For temporary or dust-related circumstances, a Multi-Purpose Allergy Dust Mask is extremely lightweight and uses multi-layer filtration to reduce exposure to a wide variety of potentially “annoying” allergy inducing particles ranging from dust to light construction materials. 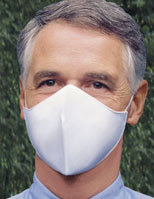 Artists and other craftsman might consider this mask for generalized lung and throat protection. Troublesome: These include levels of reaction that produce severe congestion and itchy eyes, runny nose, even fever or achiness if allergies are pronounced. For asthmatic people, troublesome can mean actual shortness of breathe and resultant use of an inhaler, depending on what type of atmospheric conditions are being encountered. When you need (or want) to get a little more serious about allergy and asthma protection, slip into the 3M HEPA mask and be assured that 99.97% of particles down to 0.3 microns can’t get through. Low profile and lightweight, you can even wear glasses and never worry that this mask will get in the way of visibility, either. You can drive or work around the home and rule out troublesome levels of dust, pollen, molds or other possible irritants that can affect your breathing and your health. The cold weather allergy mask might seem more like a preventative measure at the “annoying” level, but for those who get asthma in cold weather, the protection this mask can provide by moistening and warming air before you breathe is vital protection. Threatening: When allergies or asthma become a real health challenge, your breathing can be interrupted or even cease. Severe allergies can cause short term or long term side effects, especially in combination with a cold or possible pneumonia. At LEVEL THREE risk people definitely need to consider using protection against the types of breathing threats they experience most, including cold air, high pollen or mold counts, air pollution or high rates of physical exertion in any of these conditions. 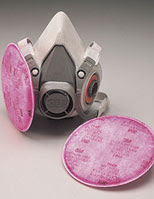 If you are seeking industrial strength protection from allergens, or if you work in areas where industrial pollutants or dust, high pollen or mold counts, or sudden changes in atmospheric condition can be a risk to your health, the 3M 8233 N100 HEPA Mask is a high efficiency filtration mask that comes with an Exclusive Foam Fit face seal to protect you from the finest dust while filtering the very air you breathe, even fumes and high risk materials such as radioactive uranium and plutonium, paint spray gasses or vapors or, if you are highly sensitive to pollens or other airborne particles, the 3M HEPA mask is for you. At only $14.95, this mask is a real lifesaver. Of course you can also count on the previously mentioned 3M HEPA mask that filters 99.97% of particles down to 0.3 microns for equal measures of protection at $29.95. There you have it, protection against annoying, troublesome or threatening allergens and asthma risks.